A decades-old moratorium on the construction of nuclear-powered electricity-generating facilities is over. Dozens of new plants are in planning stages or under construction. Atomic energy, which today is harnessed to produce about 17 percent of the world’s electrical power, will, in a few years, be delivering over a quarter of our needs. And that percentage will increase. As we plunge headlong into this nuclear renaissance, it behooves us to pause long enough to reflect on the mistakes in our atomic past. Those often disastrous errors contain three significant lessons. First, our knowledge of the atom was not as complete as our experts believed. Discovering this proved costly. And our current understanding of the atom, though immensely better, is still not complete. Second, any complex system, no matter how well it is engineered, cannot be deemed failure-proof. This is especially true if humans are required to operate controls that dictate how the system functions. Third, the individuals in charge of nuclear installations, when given a choice between a pile going wild and the release of radioactive materials into the atmosphere, will opt for the release. That decision is not bad judgement, but it is not good for the environment. This book demonstrates those three points and more. It reveals the story behind key nuclear accidents. The Chernobyl and Three Mile Island incidents are included. But many more far greater nuclear catastrophes are also recounted in detail. In addition, this book delves into situations in which atomic power has produced profound effects on personal freedom, the right to speak out in public, and other social issues. These accounts are true. Many are chilling. All are fascinating. Nuclear proliferation is an issue of our age. 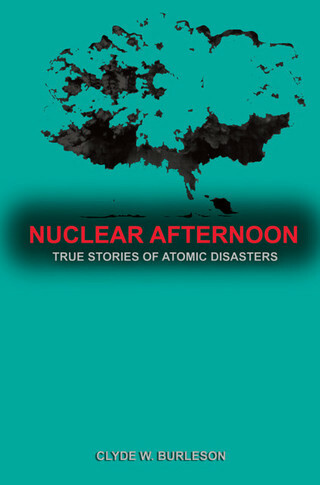 Whether you are for it or against it, these true tales paint an accurate picture of our atomic past as we rush into our Nuclear Afternoon.